Welder has been nearly unbeatable in Oklahoma and now he will begin trying to build his resume in Arkansas with a workout Sunday morning at Oaklawn. If all goes well, trainer Theresa Sue Luneack said Welder will return to Oaklawn for the $150,000 Hot Springs Stakes for older sprinters March 9, which would mark just the fifth start outside Oklahoma for the 6-year-old gelding. The Oklahoma-bred Welder has compiled a gaudy 15-4-2 record from 23 lifetime starts and earned $635,151. 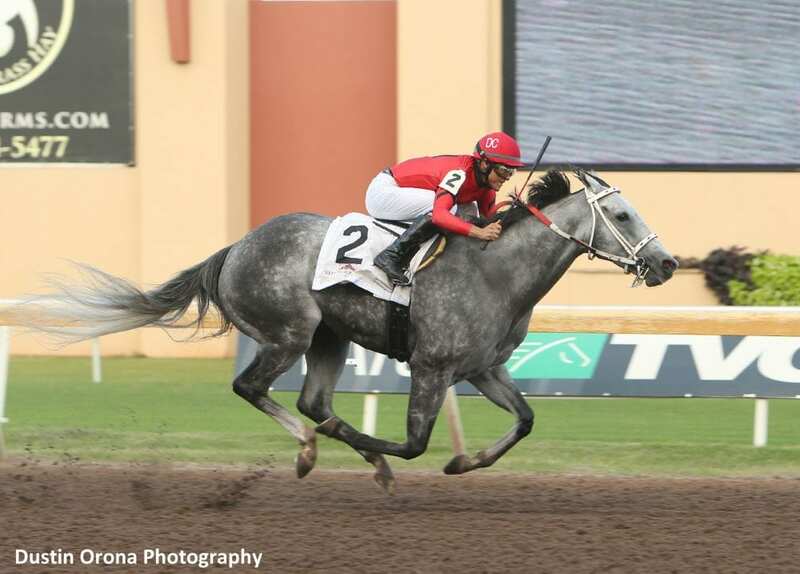 The roan gelding was named 2018 Remington Park Horse of the Meet after going 4 for 4 (all stakes), including the $165,000 David M. Vance Sprint Sept. 30 when he covered 6 furlongs over a fast track in 1:08.67. Smoke of Ages set the track record (1:08.10) in 1991. Welder hasn't started since earning a career-high 110 Equibase speed rating in the $70,000 Silver Goblin Stakes for state-breds Nov. 16 at Remington Park. Luneack said Welder is based at her farm in Claremore, Okla., but receives timed workouts at nearby Will Rogers Downs, which is about 250 miles northwest of Oaklawn. Welder recorded a 5-furlong bullet workout (:59.60) Feb. 13 at Will Rogers. David Cabrera, who rode Welder in all four starts last year at Remington Park, is scheduled to breeze the gelding Sunday morning. Welder will be vanned home following the work, Luneack said. “He's never worked there, so I thought it might be good for him to get a feel for that track a little bit,” Luneack said. Welder is an eight-time stakes winner, with five victories coming at Remington Park and three at Will Rogers Downs. Also pointing for the Hot Springs is Whitmore, who won the race in 2017 and 2018 and hasn't started since finishing second in the $2 million Breeders' Cup Sprint (G1) Nov. 3 at Churchill Downs. This entry was posted in Racing and tagged david cabrera, hot springs stakes, Oaklawn, oaklawn park, Oklahoma, remington park, theresa sue luneack, welder, whitmore, will rogers downs by Press Release. Bookmark the permalink.